Text to (251) two 9 5- 63 two 4. Or message us via our Shopify® Facebook® store. Please note: We are a design company. Please request a private/PUBLIC page about 2 months in advance. Orders will take about a week for art inspiration, then two weeks of production time. 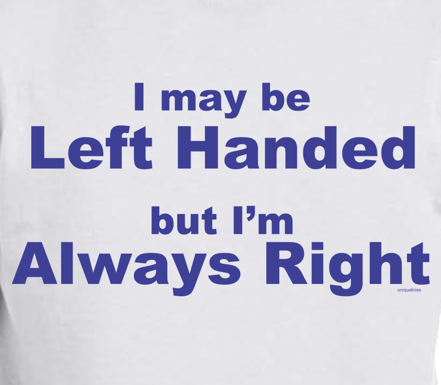 1/4/2018- Introducing the "I May Be Left Handed But I'm Always Right" ash grey cotton t-shirt line available for wholesale. There is a minimum requirement of 12 shirts for a dozen and 72 pieces for a case. Orders that do not comply with the minimum requirement will be contacted before refund given. If you have any questions, then please don't hesitate to contact us at lennymayers@uniquelines.net. Thank you. 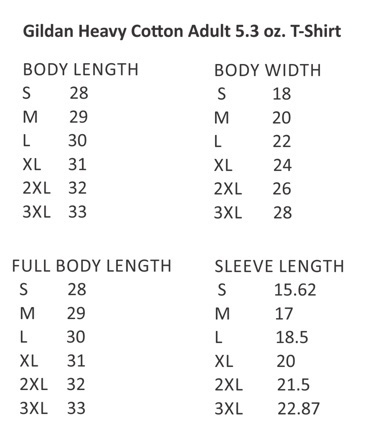 Gildan® heavy cotton 5.3 oz. 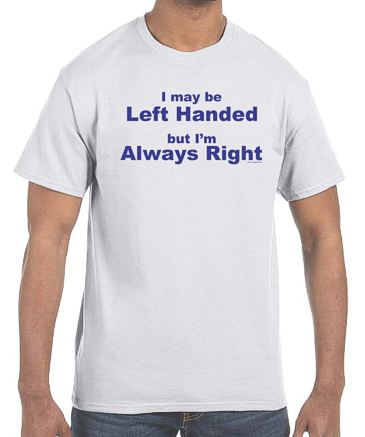 t-shirts for wholesale. WHOLESALE(min. 12 pieces) or your money will be refunded. Products ship in 2 - 3 weeks, after confirmation. Please note: If ever you need assistance, please don't hesitate to contact us. Attention: PayPal Add to Cart buttons are on a safe and secure web page. Add a piece (with WHOLESALE only) for Dozen and Case orders. Please use the corresponding buttons according to how many pieces you need. We will be very flexible here, relying on you to place your order using the correct quantity. Use the TEXT FILL-IN box to send us any notes, information or instructions. All transactions are done on high security platforms. Please note: If ever you need assistance, please don't hesitate to contact us via e-mail.